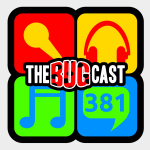 This week on The Bugcast: Scotland round-up, podcast plethora, doodles a-plenty, and 8 great tracks of Creative Commons and independent music! The next live show will be episode 382, broadcast live in the chatroom on Friday 6 November 2015 at 21:30 UK time (BST/UTC+1). Join us during the week on our Telegram group chat – drop us a line for an invite.